Nevada's unmanned cloud-seeding research team has realized another fundamental capability in their effort toward enhancing snowfall in mountainous regions of the West. Flown at Hawthorne Industrial Airport under Nevada UAS Test Sites Certificate of Authorization (COA) and led by the Desert Research Institute (DRI) flight operations node, the Drone America Savant unmanned, fixed-wing aircraft reached an altitude of 1,500 feet and completed a one-hour BVLOS flight covering a total distance of 28 nautical miles on Wednesday, February 15, 2017. 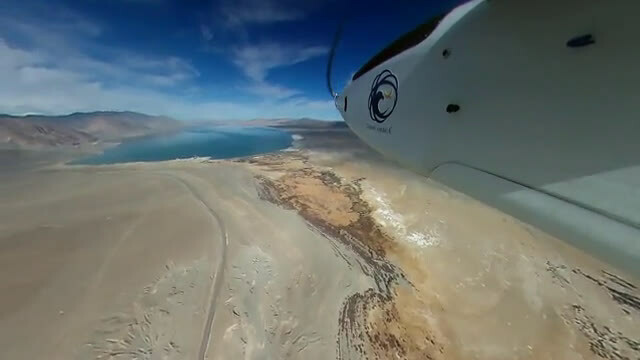 The test flight of the Savant cloud-seeding aircraft was the longest unmanned, cross-country round-trip flight in Nevada history. 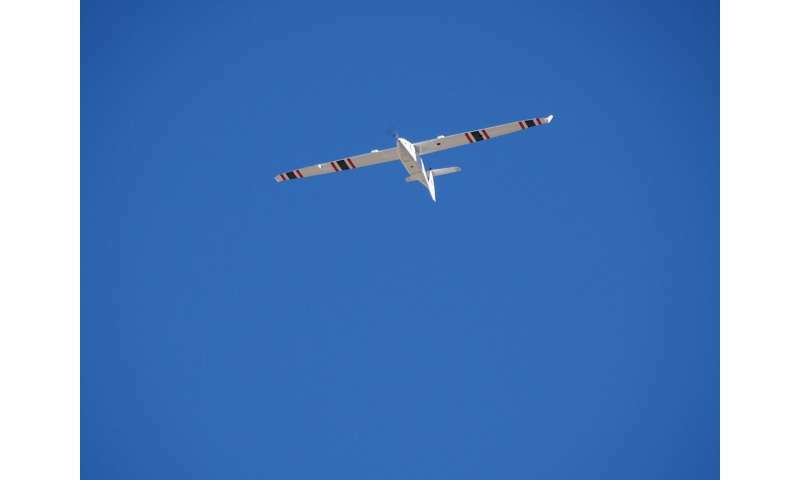 "We have now demonstrated without a doubt that our unmanned cloud seeding technology and capabilities can move beyond line of sight - a significant hurdle in this industry," said Adam Watts, Ph.D., principal investigator on the project and an assistant research professor at DRI. "Most importantly, we have done this safely and in following all FAA regulations and guidelines." 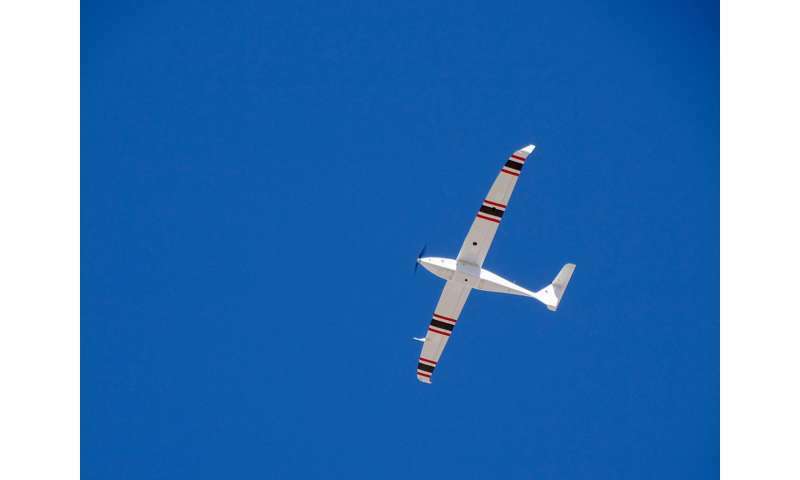 For more than a year a DRI-led research team, supported by the Nevada Governor's Office of Economic Development through the Knowledge Fund, has been working to develop an unmanned cloud seeding aircraft capable of helping communities address the ongoing impacts of drought and explore innovative solutions for natural-resource challenges such as augmenting regional water supplies. The research team combines more than 30 years of weather modification research and expertise at DRI with the proven experience in aerospace manufacturing and flight operations of Reno-based Drone America, and the industry leading unmanned aerial data services of Las Vegas-based AviSight. "Hawthorne offers an ideal location for BVLOS testing for both small and large UAS (greater than 55 pounds)," said Chris Walach, Ph.D., Director of the FAA-designated Nevada UAS Test Site. "And, when combined with the NASA tested BVLOS drone flights at one of the Nevada UAS Test Sites late last year, this again demonstrates Nevada's foremost capability to lead and support the nation's UAS industry and help advance BVLOS techniques and procedures that can eventually lead to safely integrating unmanned aircraft into the national airspace."